Gearing up for graduation? So are we. Announcing Operation Graduation, exclusively on Tablelist. Plan your final fling of 2016 in Boston, New York and Washington DC with events, giveaways and more. We’re about to put your years of partying at college to the test. 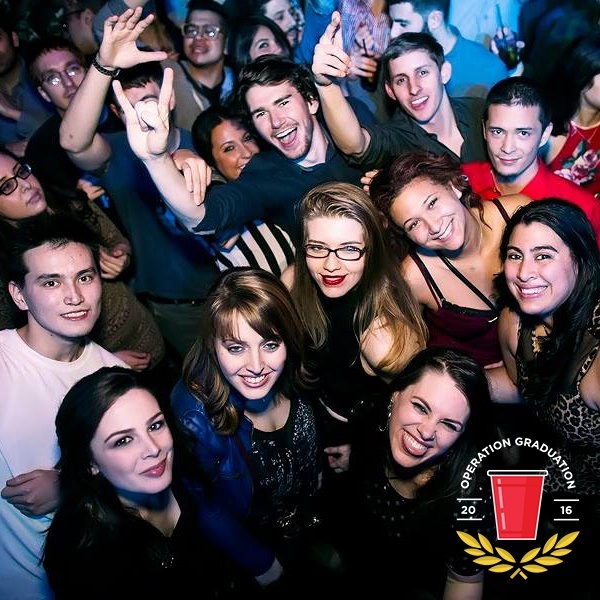 Announcing Operation Graduation, the ultimate celebration of the top schools in our biggest Tablelist cities. Featuring blowout events with top-chart DJs and performers, to campus pop-up parties and epic giveaways, it all leads up to the OG House Party during your city’s senior week. Wondering how to get in on the OG action? Be sure to join Tablelist by downloading the app for iPhone and Android here. Then, check out Graduation.Tablelist.com for the calendar of events for your city. It all leads up to an event of epic proportions; The Operation Graduation House Party in Boston on May 11th. Complete with kegs, red solo cups, bras hanging from the rafters, and an insane lineup of DJ talent, plus special guests, you’ll want to get your ticket early for this finale event. We’ll be rolling out the rest of the event announcements, contests and members-only exclusives starting April 4th and going until the keg is tapped at the OG House Party; Be sure to follow Tablelist on Instagram, Snapchat (@Tablelist), and Facebook for real-time updates. Whether you’re Class of 2016 or just ready to party like you got the cap & gown, buckle up because Operation Graduation is coming in hot.